We have a number of instructional and education videos for you to learn about our products. Veil Cover Cream has been helping people look and feel better since 1952. Our cover creams are specially formulated using only the purest ingredients. Our cover up make up products are perfect for people with sensitive skin and children. With 40 shades of cream available, no matter your age, race or skin issue, you’ll find the perfect shade of cream to match your skin. Our creams can camouflage a wide variety of skin conditions and issues, including birthmarks, scars, age spots, moles, broken capillaries, varicose veins, stretch marks, acne scars, rosacea, vitiligo, eczema and other issues. While tattoos can be a wonderful method for self-expression, a situation or event may pop up where you need to cover it up. This is where Veil Tattoo Cover Cream can come to the rescue, as it can be the perfect tattoo cover up makeup. With just a small amount of cream, easily applied with your fingers, your tattoo can virtually disappear in minutes. Veil Cover Cream is the ideal makeup that covers scars and just about any other skin blemish. While there are other types of camouflage makeup products on the market, Veil Cover Cream is a step above the rest. Our camouflage makeup incorporates up to 50% more pigment than other cover cream products, so it requires less cream to cover your blemish. 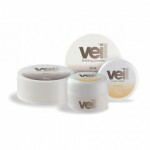 Veil Cover Cream lasts all day without the need to re-apply it. It is also waterproof when used with our finishing powder, so you can enjoy a day at the beach without worrying about your makeup coming off or running. No need to worry about a rainy day either. The cream also incorporates sunblock, to further protect your sensitive skin issues from sun damage. It’s not greasy or chalky like most other makeup products. Our cream is also lightweight and natural looking. Ready to cover up your skin issue? Order our Colour Matching Kit first to identify the right cream tone for your skin. Then get started with our Super Combo Starter kit. Get answers to your questions on our FAQs page. Learn about how to apply our cream and see instructional videos on our HowTo page. Read real-life stories of people who have used our cream to improve their lives on our Testimonials page.